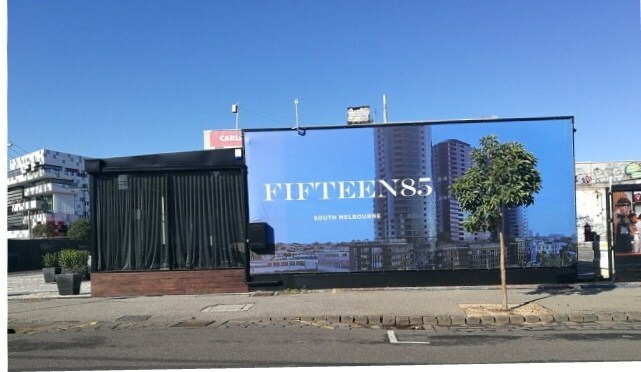 There’s a new wave of development activity in Montague and Fishermans Bend as permits granted several years ago enter the marketing phase. Ah! That’s the address. Didn’t get it at first. 15 – 85 Gladstone Street. A launch party is to be held on June 23rd for the first of three towers on the former Carlins site. The site is enormous – nearly a hectare – with three street frontages to Buckhurst, Kerr and Gladstone Streets. The planning history of the site goes back to 1 September 2014 when then Planning Minister Matthew Guy approved a permit for four 30 level towers. The timing was as fateful as Romeo and Juliet. The ink was barely dry on the planning permit when the Napthine government lost the 29 November election and a Labor government was returned. An undertaking was made soon after to ‘recast’ the planning for Fishermans Bend. Permits once issued may be re-worked but are rarely, if ever, revoked. In the four years since then, the site has changed hands from BPM to CEL, the architects have changed from Fender Katsalidis to Elenberg Fraser, and along the way the four towers have become three. In the same period the South Melbourne Primary School on Ferrars Street has been planned, built and opened. The new park immediately opposite the development will open later this year. Lost Montague, an exhibition at the Emerald Hill Heritage Centre, includes photographs of this exact area taken in the ’30s. What today is one large site was then made up of many households – the more substantial houses to Buckhurst Street and and poorer quality houses in the small streets and lanes. This was a particularly damp part of Montague and children enjoyed playing in the streets which flooded regularly. Mr Plumb grew up here in Winwood Street, one of the disappeared streets. Where the railway lines meet, he and his friends would make a fire and bake potatoes – only taking a few so his mother wouldn’t notice. You could buy what you needed in Montague. Life in Montague was ‘complete’ he said, and then repeated that word as if it was the only one that would do. Some of A H Williams photographs from the exhibition are online on the City of Port Phillip collection website.